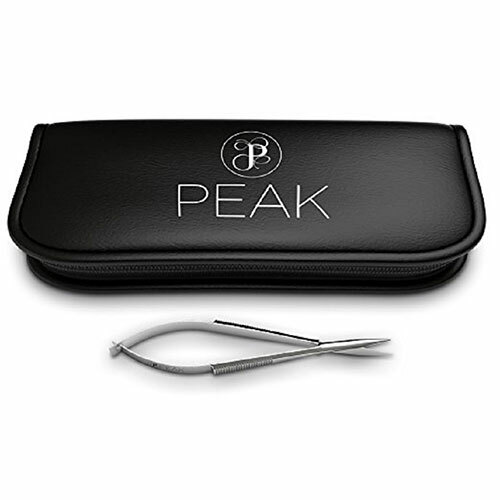 Stay perfectly groomed and looking great with these specially designed facial hair scissors! Help ensure that your loved one stays well-groomed and looking spectacular this holiday season with these specially designed facial hair scissors! Featuring an innovative design that makes clipping those unwanted hairs a cinch, these unique Christmas gifts help your recipient achieve that clean-cut look from any angle. Unlike most other scissors designed for facial hair that have those tiny finger loopholes, these scissors are equipped with no-slip finger grips and easy squeeze handles that make it simple to get to those hard to reach areas. 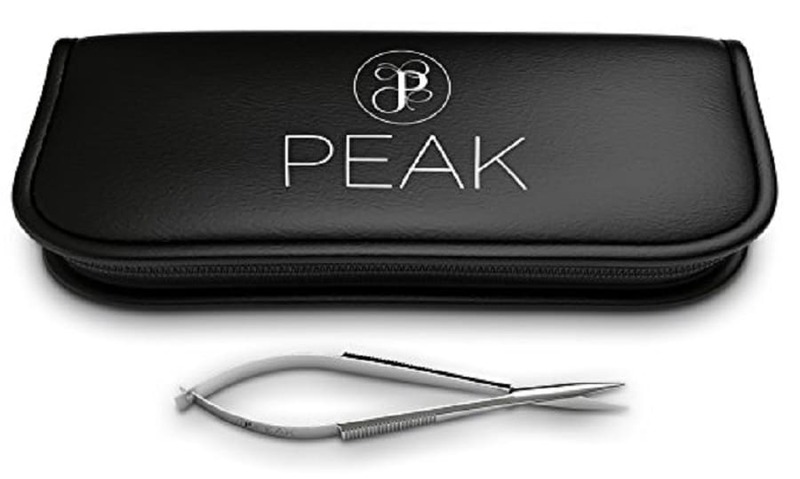 Made from durable, hardened surgical stainless steel, these scissors are designed to last as they keep up with even the most determined growth. Since frequent use can sometimes lead to dull scissor blades, we will even sharpen your beauty tool for free! Perfect for trimming mustaches, nose hairs, brows and more, these facial hair scissors are fantastic unique Christmas gifts for men and women alike. Measuring 4 ½ inches long and complete with a durable leather case that protects them from damage, they will fit neatly inside almost any cosmetic case or shaving bag. A magnificent idea for stocking stuffers this holiday season, order a set for everyone on your list!